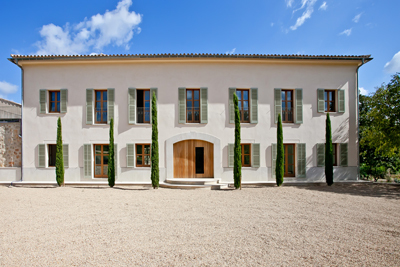 A 200-year-old country estate just ten minutes from Palma on Mallorca has come onto the market. Currently being carefully restored, the main property is built around an inner courtyard and offers various reception rooms, eight bedroom suites, swimming pool, pool house and separate staff accommodation. The property also has a wine cellar and an indoor pool plus a fitness room, as well as garaging for several cars. It would particularly suit owners with horses, according to the local agent. The land comes to around 27 acres or ten hectares and sits right in the heart of the Sierra Tramuntana Mountains, just minutes from the traditional Mallorcan village of Puigpunyent but still within easy reach of Palma. The current owners are British and have dedicated their lives to restoring grand old houses in the UK, Spain, Malta and France – this is their latest project. The guide price is €10m. For further information contact Engel & Völkers on +34 669 49 77 22 or visit www.engelvoelkers.com/mallorca.